"Ah! We are about to begin the fighting!" - El Tigre Braum is now available for purchase! 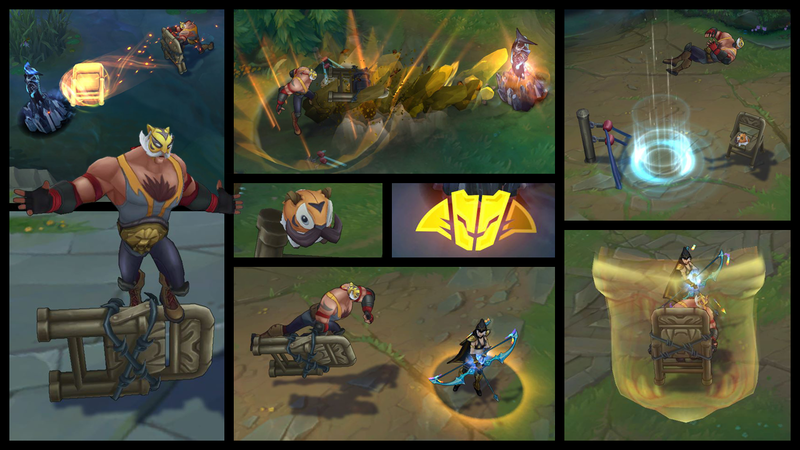 While normally priced at 1350 RP, El Tigre Braum is on sale for 975 RP through Jan 25th! Continue reading to elbow drop your way into a better look! "He’s the greatest luchador ever to enter the ring. He shatters turnbuckles with his Moustachebombs. He knocks out rudos with his panthera jabs. He partners with poros for his tag team matches. Ladies and gentleman, the man with the heart of a tiger, El Tigre Braum! 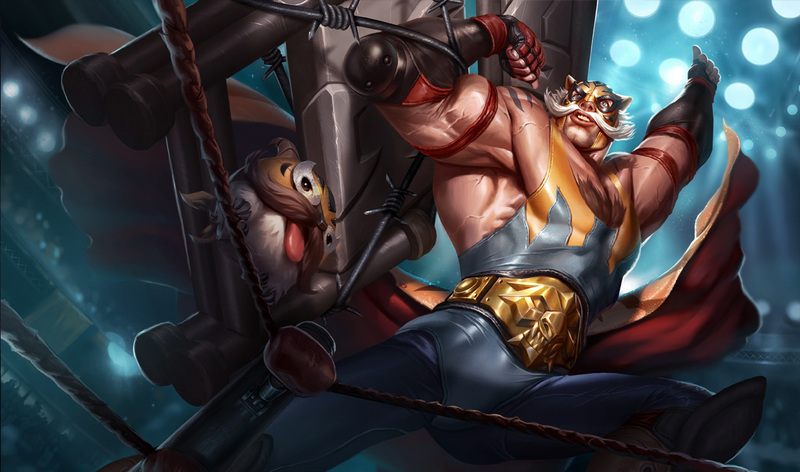 Suplex your enemies with El Tigre Braum, available now in the League of Legends store for 1350 RP (on sale for 975 RP until 23:59 PST on January 25)." As with the other Braum skins, feeding one of Howling Abyss poros a poro snax grant it a mustache!